Celebrate the classic gabled design of greenhouses & glasshouses over the generations with the Hartley Tradition 6, a compact option for smaller gardens, which still makes best use of the space available. The Hartley Tradition 6 reaches nearly 7’6″ at its highest point, giving plenty of headroom, with a width of 6′ 8″. 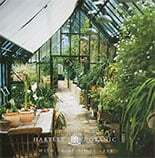 As with all Hartley greenhouses & glasshouses, it is free from unnecessary cross-struts and beams inside. This maximises the available growing space while ensuring even taller gardeners do not suffer a bumped head while working. With toughened safety glass throughout, the Tradition 6 has the feeling of a larger structure. Seclude yourself in this sanctuary while tending your budding plants, and each spring may feel more like a summer in its own right. Access to the structure is via split sliding doors at one end, giving a pleasing symmetrical appearance to the entrance. Further ventilation can be gained with overhead and side windows which open outwards, again helping to keep the headroom inside free from any obstacles. 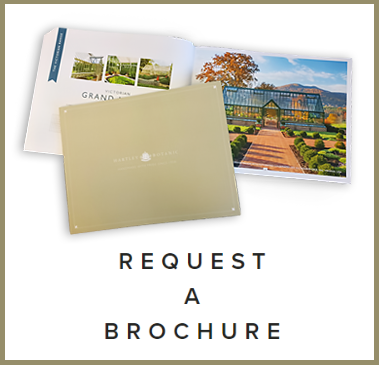 Despite their classic appearance, the design of these greenhouses & glasshouses caters for the modern gardener’s concerns, with the guttering drainage system able to deliver rainwater directly into a water barrel placed beneath its downpipe. This offers the dual advantages of reducing standing water in the area immediately around the structure itself, while providing you with a much-needed source of hydration during hosepipe bans or for those who simply prefer not waste a drop of water in the garden. 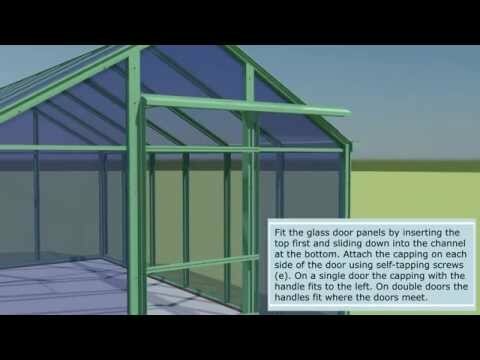 With the usual high standard of construction – including full instructions on how to lay the base for your greenhouse, and a Thermal Plastic rubber trim encasing each pane of glass to prevent any direct glass-to-glass or glass-to-metal contact – the Tradition 6 is designed to add that classic touch to your garden for many years to come, giving you somewhere to work when you want to and somewhere to relax when you need to.